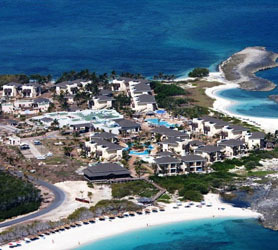 Hotel Royalton Cayo Santa Maria has been considered amongst the world’s top resorts as voted by visitors on tripadvisor. The Hotel Royalton seems to embrace every aspect of its guests needs, right from the elegant and intimate ocean view accommodations to first-class culinary experiences, this tropical Cuban hotel and resort offers you a truly unforgettable and unique vacation experience. The Royalton is a adults only resort head and shoulders above its competition on Cayo Santa Maria and is amongst the best resorts in the world on a purely guest and all-in Luxury standpoint. Its blend of service, regal furnishings, and rustic Caribbean flair make it truly outstanding. Our booking process is unique because it shows the best rate from all of these for Royalton hotel in Cayo Santa Maria and the types of rooms available. Our Royalton Cayo Santa Maria rate comparison is an industry first for Cuban Hotels. Once you’ve compared the rates, finalizing the booking at Royalton Hotel takes just seconds and an immediate confirmation is provided in real-time. The Eurostars Cayo Santa Maria Hotel is a new hotel offering the latest trends in the hospitality business right here in Cayo Santa Maria Cuba. 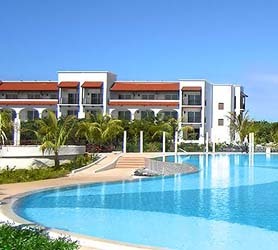 Eurostars Cayo Santa Maria Hotel is an all-inclusive, five-star establishment with large modern rooms distributed throughout the resort in the favored private villa style. The resort features enormous two swimming pool areas, six restaurants offering meals with a gastronomic flair unseen on all-inclusive resorts of this type. The Eurostars Cayo Santa Maria also offers its unique yacht club, sports club, gym and children’s club, amongst many other special treats for visitors. Eurostars Cayo Santa Maria directly faces the beach and white Caribbean sands, garnering unique views to 90% of the 846 bungalow type rooms with verandas and interiors with tropical decorations and aromas. The Eurostars Cayo Santa Maria hotel complex includes a small pavilion and pier facing the Caribbean Sea for celebrating weddings; the hotel’s huge capacity making it ideal for this kind of event. Eurostars Cayo Santa Maria in Cayo Santa Maria is located in one of the twenty best destinations in the world on an island scarcely 2 km wide. The adjacent reef invites you to take to some snorkeling along the world’s second largest barrier reef. Our booking process is unique because it shows the best rate from all of these for Eurostars hotel in Cayo Santa Maria and the types of rooms available. 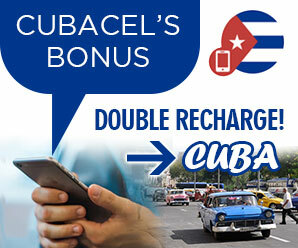 Our Eurostars Cayo Santa Maria rate comparison is an industry first for Cuban Hotels. Once you’ve compared the rates, finalizing the booking at Eurostars Hotel takes just seconds and an immediate confirmation is provided in real-time. The Hotel Memories Azul Beach Resort on Cayo Santa Maria is set in unique natural surroundings along a stretch of breathtaking white sand beaches that can only be described as idyllic. 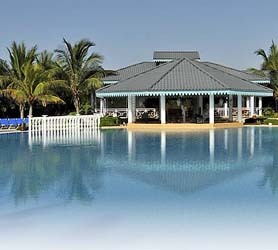 Hotel Memories Azul Cayo Santa Maria is one of the island latest properties, having been finished in 2011. The modern design means that its 720 comfortable are nicely isolated and well distributed throughout the extensive gardens and pools on this expansive resort. The Canadian run Memories Resorts offer personalized service that can suit the needs of families, or create a romantic hideaway for couples alike. With its true family focus the Hotel Memories Azul Cayo Santa Maria caters perfectly for kids with its Fun Club which offers youngsters the opportunity to participate in supervised activities and evening entertainment, hosted by the popular kids club characters your children will grow to love. Teens also get their own lounge for socializing and playing anything from ping pong to video games. Our booking process is unique because it shows the best rate from all of these for Memories Azul hotel in Cayo Santa Maria and the types of rooms available. 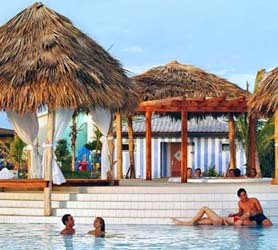 Our Memories Azul Cayo Santa Maria rate comparison is an industry first for Cuban Hotels. Once you’ve compared the rates, finalizing the booking at Memories Azul Hotel takes just seconds and an immediate confirmation is provided in real-time. 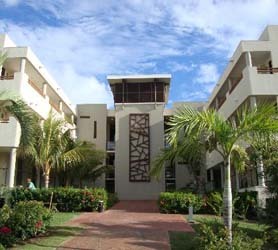 Hotel Husa Cayo Santa Maria is a splendid 5-star holiday resort managed by the little known hotel chain Husa. Don’t let the HUSA name fool you though, managing over 40 hotels in major European capital cities, the chain gets extremely high scores on tripadvisor, this hotel being a 4 out of 5 star guest reviews. 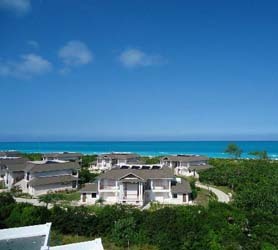 Hotel Husa Cayo Santa Maria is a beautiful resort, set in the most luscious gardens of any resort in Cayo Santa Maria. The Hotel Husa Cayo Santa Maria also offers oversized rooms, nicely decorated using pastel shades and sky blue throughout. Located on the beach front, giving rooms direct access to the sand, it is situated on one of the most stunning beaches in Cayo Santa Maria and we would wage a bet that maybe in the world! From where the resort is situated the beach extends 2.6 km either side, offering a panoramic views in this secluded setting. Our booking process is unique because it shows the best rate from all of these for Husa hotel in Cayo Santa Maria and the types of rooms available. Our Husa Cayo Santa Maria rate comparison is an industry first for Cuban Hotels. Once you’ve compared the rates, finalizing the booking at Husa Hotel takes just seconds and an immediate confirmation is provided in real-time. Hotel Sol Cayo Santa Maria has a prime oceanfront position by the sea on the exotic Caribbean paradise of Cayo Santa Maria, right in the middle of the so called Buenavista Biosphere Reserve. 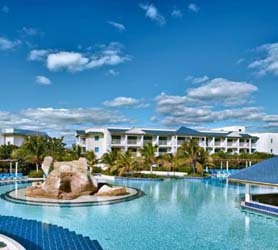 The Hotel Sol Cayo Santa Maria is an All-Inclusive Four-Star resort with 300 spacious rooms. The resort offers relaxation with amazing combination of nature and comfort. The natural gardens and overall décor of its open spaces is truly unique in Caribbean hotels of this type. Hotel Sol Cayo Santa Maria is specially recommended for families or couples due to its division of areas and overall separation of kids spaces to adult area. The kids club known as the Cubamigos offers all-day kids fund and games. The Hotel Sol Cayo Santa Maria offers incredible beachfront rooms with direct access to the sand along with a large expansive deck and terrace on which you can watch the world and time drift by. Our booking process is unique because it shows the best rate from all of these for Sol hotel in Cayo Santa Maria and the types of rooms available. Our Sol Cayo Santa Maria rate comparison is an industry first for Cuban Hotels. Hotel Melia Las Dunas Cayo Santa Maria is an All-Inclusive Five-Star Resort with 925 rooms which feels more like a small city than a hotel. Located right on the beachfront, just a few steps from the white sands in Cayo Santa María, its exotic setting dazzles with its natural beauty and harmonious integration into the Caribbean surroundings. Hotel Melia Las Dunas manages to create two separate environments for families and couples, offering fun packed vacations for the prior and intimate areas for the latter. The mini-city theme extends right through the hotel with unique gastronomic boulevard which stretches on for over 400 meters, offering different food styles and restaurants in each section. Melia Las Dunas is so large it even features a cultural town square! Our booking process is unique because it shows the best rate from all of these for Melia Las Dunas hotel in Cayo Santa Maria and the types of rooms available. Our Melia Las Dunas Cayo Santa Maria rate comparison is an industry first for Cuban Hotels. Once you’ve compared the rates, finalizing the booking at Melia Las Dunas Hotel takes just seconds and an immediate confirmation is provided in real-time. Melia Cayo Santa Maria is an expansive low lever hotel which covers an area of 12,000 m² guaranteeing extensive facilities for families. Right from the day you set foot in the lobby you know you’re going to revel in these beautiful natural surroundings, extensive gardens and numerous elegant pools. The five star all inclusive Melia Cayo Santa Maria is a fantastic vacation resort, located right on the beach in Cayo Santa Maria with its unmistakable traditional Caribbean village design. A special area of the hotel is dedicated to pampering and wellness, the Yhi Spa is a world-class spa with hydrotherapy, saunas and exclusive pools, to allow Melia Cayo Santa Maria guests to erase their fatigue and stress. For the kids the fun never stops with the Club Cubamigos entertainment team, they’ll be occupied and having fun from dawn till dusk. Our booking process is unique because it shows the best rate from all of these for Melia hotel in Cayo Santa Maria and the types of rooms available. 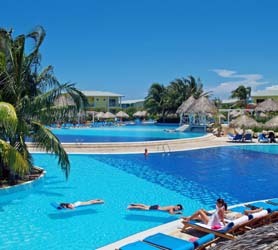 Our Melia Cayo Santa Maria rate comparison is an industry first for Cuban Hotels. The Melia Buenavista Hotel is located on the west coast of Cayo Santa Maria in a natural ecological environment, surrounded by beaches and intimate natural coves. Melia Buenavista is an exceptional All-Inclusive Five-Star Resort featuring 104 luxurious Junior Suites and sumptuous Suites, and the Villa “Zaida del Rio” a private butler service villa which is part of the Melia Elite service. Melia Buenavista is adults only resort with a minimum age of 18 years. Melia Buenavista is a unique Hotel in the Melia line up because it is a 100% Royal Service hotel with no additional cost for this exquisite service. Our booking process is unique because it shows the best rate from all of these for Melia Buenavista hotel in Cayo Santa Maria and the types of rooms available. Our Melia Buenavista Cayo Santa Maria rate comparison is an industry first for Cuban Hotels. Once you’ve compared the rates, finalizing the booking at Melia Buenavista Hotel takes just seconds and an immediate confirmation is provided in real-time. 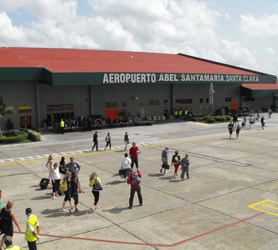 Or if you’d prefer, we have Casa Particulares a short distance from Cayo Santa Maria?